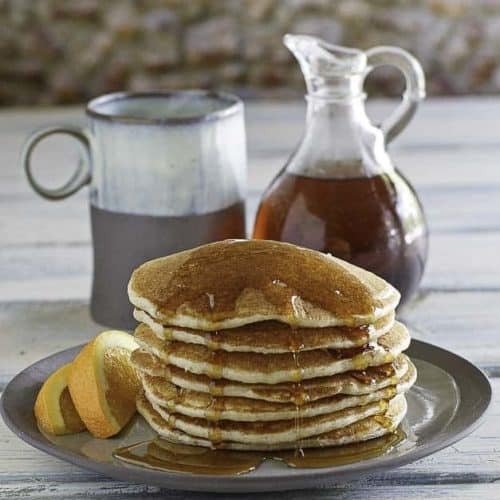 IHOP Country Griddle cakes are the pancakes can’t go wrong with hearty pancakes. The cooked Cream of Wheat provides a wonderful texture in the IHOP Country Griddle cakes. IHOP Griddle Cakes were taken off of the menu, so you can’t get them at IHOP anymore, but you can make IHOP Griddle Cakes in your own kitchen. International House of Pancakes began life in the suburbs of Los Angeles in 1958. Fifteen years later, a new marketing campaign introduced the acronym “IHOP” with its now-famous smile. Today, IHOP is the nationwide chain that everyone is familiar with. It’s the place where people know they can enjoy a bargain breakfast at any time of the day. For a complete history of IHOP, click here. Cream of Wheat is a brand name. It’s a product that contains farina, a type of porridge mix made from ground wheat kernels. Apart from its color, Cream of Wheat looks similar to grits, which is made from ground corn, but the ground wheat gives it a smoother texture. Cream of Wheat is full of vitamins and minerals. For a complete list of all the nutrition contained in Cream of Wheat, click here. These pancakes are so delicious that you may not have any leftovers. However, you can make a big batch, let them cool, shrink wrap them, and put them in the freezer. Whenever you get the urge for a pancake, just pop one in the microwave for a minute or two. It’ll be as good as freshly made. And, talk about the easiest breakfast! These pancakes are a good way to sneak in some healthier ingredients into foods that kids love. Even if you have a child that goes “ugh” if you try to get them to eat Cream of Wheat or drink buttermilk, they will always eat pancakes. 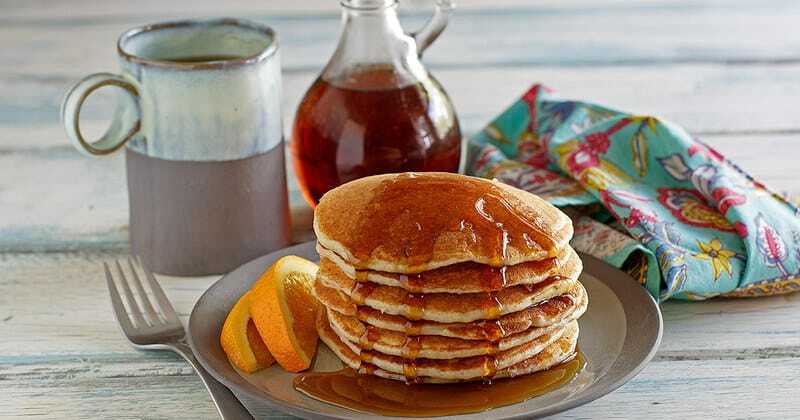 Serve these griddle cakes with whichever is your favorite syrup, or add fresh fruit and a dollop of whipped cream. The tasty, crispy crunch of this pancake will put an IHOP smile on your face every time. Plus, now you and your family can have your pancakes and eat your cereal too! You can make the IHOP Griddle Cakes like they used to make. Place first six ingredients in a medium-size bowl. In a small bowl mix cream of wheat with the buttermilk to get any lumps out of the cream of wheat. When this is done add egg, cream of wheat, and buttermilk mixture to dry ingredients. Beat with a spoon all until smooth. The batter may be a little lumpy. Heat a grill or a frying, pan medium-low heat works well with pancakes. When the surface is hot lightly oil or use a vegetable spray. Pour the desired size for pancakes and turn when the top of the pancake has little bubbles. If you spray your pancake turner with a nonstick spray it helps prevent the uncooked part of the pancake from sticking to the turner and flipping the pancake is made much easier. If your pan is seasoned well your pancakes should not be sticking and if the temperature is just right your pancakes should have a beautiful golden color. This recipe does not at all produce a replica of the famous Country Geiddle pancakes from IHOP. I have tried all of the different options out there. I even tried grounding the cream of wheat! This recipe produces pancakes that are cakes and dough centric. Even when using whole wheat flour. The only way to eat those delicious country griddle pancakes is by begging IHOP to bring them back. Has anyone tried to use boxed pancake mix like krustiez buttermilk pancakes and then adding the cooked cream of wheat? I haven’t tried this before. It should work. My family loves this recipe, always a hit on weekends! Awesome day starter! A new favorite breakfast in our house! 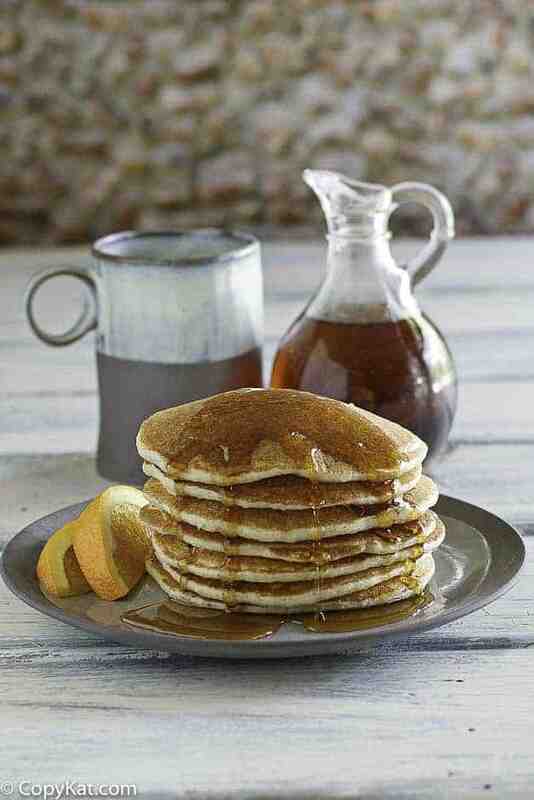 I love starting the day with a stack of Griddle Cakes. I will be making these over and over again! You’d never guess how marvelous this combination of ingredients could be, but the result was some very delicious pancakes!! Perfect for the breakfast. Thanks. These are so wonderfully fluffy! Griddle cakes will ht the spot this morning for breakfast! Question: Is it 3/4 cup cream of wheat dry then cooked or 3/4 cup cream of wheat already cooked? It needs to be 3/4 of a cup that has 3/4 cup by volume after cooking it. I have to be honest here, I haven’t tried this recipe with self-rising flour. I think the recipe would need to change quite a bit to make this accommodation. Perhaps you would want to consider adding a tablespoon or two of prepared cream of wheat to your favorite pancake batter. This taste just like the Country Griddle cakes at IHOP I remembered thank you so much for such a delicious recipe. I had my friends over and they couldn’t believe how good they were it was such a hit I’m definitely making this again. Awesome, reminds me of IHOP in 70’s……delish! Sooooo much better than my mom’s (sorry Mom).